Woman Harvest Peppers In Field. Move Panoramic. Close Up. 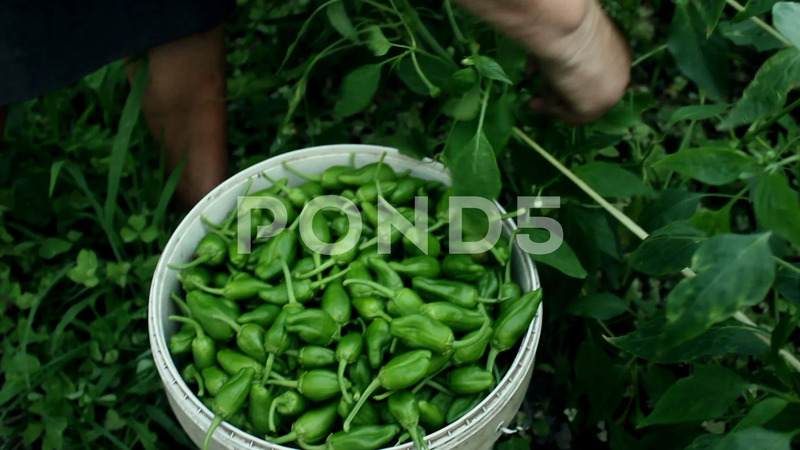 Description: Woman gathers by hand Padron peppers in field and puts them in a bucket. Padron peppers are tipycal vegetable of Spain, little size. Traditional manual harvest.